Are you an accessory gal? I’ve always love me a cocktail ring although recently I have been craving some arm candy. 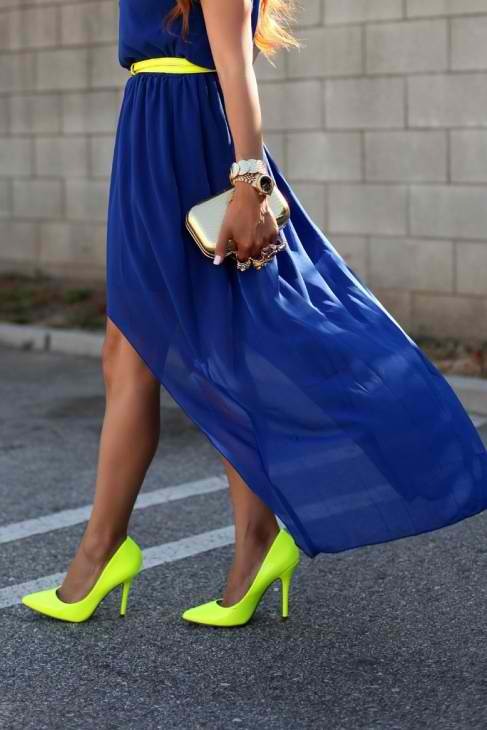 Here are some of my favorites, picked from my pinterest ‘Stylish’ board. Stack them up! There are so many affordable pieces out there now that creating this type of look doesn’t have to break your bank, or his, or momma’s. And if you own a magnificent piece like this, then you would only need to wear one! Wait a sec, are those bullets?! Disclaimer: I DO NOT CONDONE VIOLENCE, especially in fashion! I have a TINY wrist, so I’m always happy to find any pieces that would fit. This adjustable leather strap is PERFECT for my tiny wrist! And if you are REALLY ambitious, I’ll leave you w/ a weekend project. 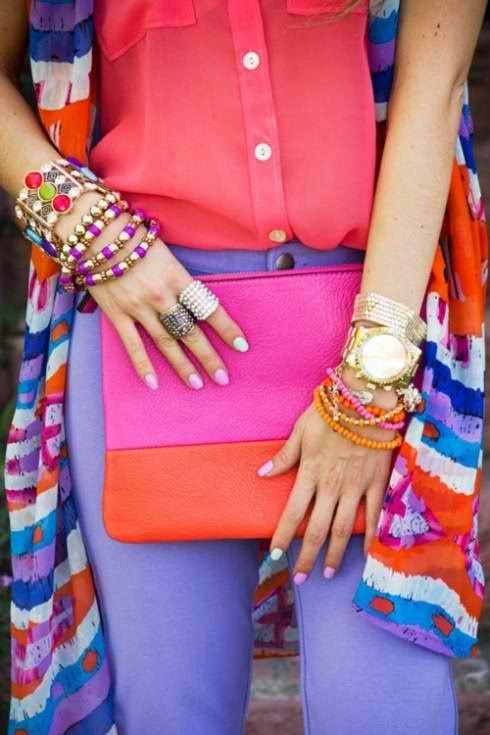 Here’s a DIY link to make your own stylish arm candy using nuts! 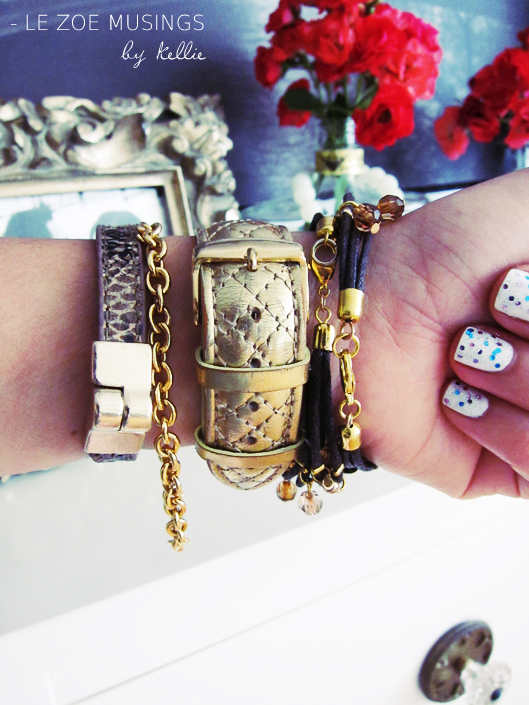 We are such bracelet fiends, love these! Thanks!! Have a GREAT day. Best, Kellie. 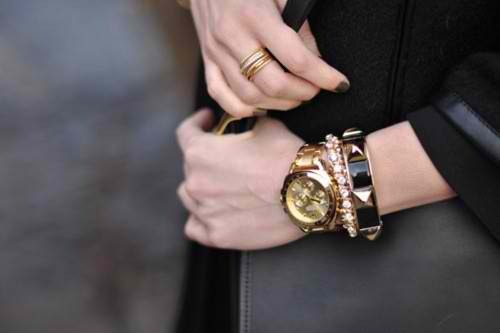 Love your arm swag, esp that yellow-faced watch! Thanks! 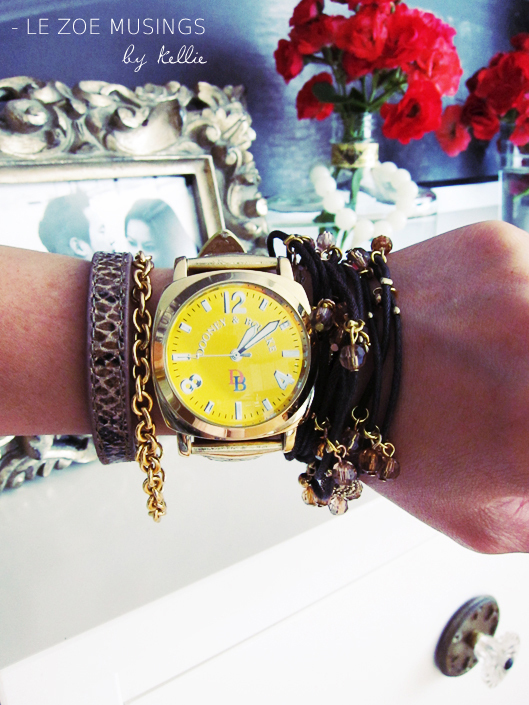 I LOVE this watch b/c of the leather strap (and the yellow faced)! Have a GREAT day. Best, Kellie. omg in love with all the swag! I agree! Aren’t they so fabulous?! Have a GREAT day. Best, Kellie. MUST RAID HUBBY’S TOOL BOX…NOW! Thank you so much for the awesome diy idea! Ha! Let me know how it turns out!! Have a GREAT day. Best, Kellie. Hi Ray-Lee- I soo agree w/ you on the bullets! Have a GREAT day. Best, Kellie. That is “off the hook” COOL!!!!!! Love it!!!! Doreen my love! I miss you!!! I agree, soo ‘off the hook’. You are too funny! Have a GREAT day. Best, Kellie.